Home design trends are constantly changing from year to year and even season to season. Here at Invisia, our top priority is design and keeping our clients and customers informed on what’s in. This list has been created to highlight the best in bathroom design trends 2017. These items have been picked from industry insights, influencers and more. This trend has been getting more and more traction in the last years and is now seen as trending for 2017. Whether it be stone, wood, bamboo or other natural materials, you can’t go wrong. However, there are some things you should consider with these. If you plan on using wood in the bathroom, be careful. Wood tends to absorb water which can cause bacteria build up, unpleasant smells and damage to the material. 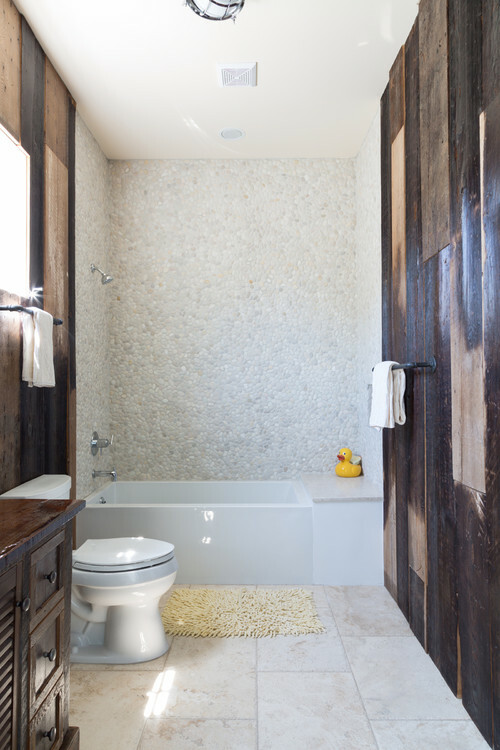 If your heart is set on wood, make sure that it has been treated to be resistant to water to ensure the bathroom lasts and stays beautiful. Stone can look stunning when used in the right places. However, using stone for flooring is a no-no. Stone is extremely slippery when wet and in a place like the bathroom, fall hazards should be limited, not increased. 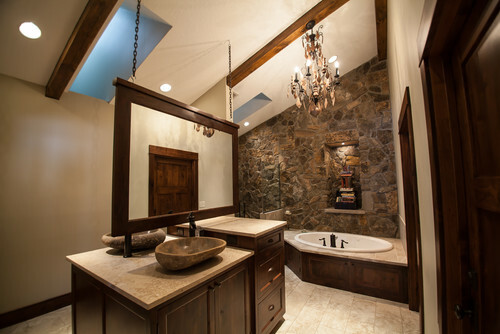 Rather than flooring, use stone on walls, fixtures or even accents and mosaics. Similar to wood, bamboo should not ideally be used for flooring. 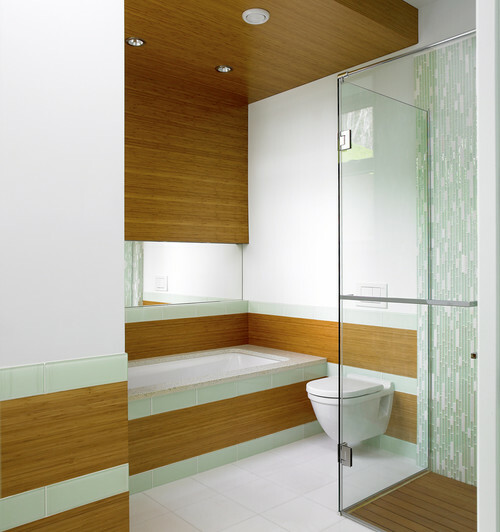 However, bamboo has a beautiful finish that looks great on bathroom walls. However, if you want to incorporate bamboo in your design, we use bamboo for our shower and seating products (SerenaSeat and Bath Bench). 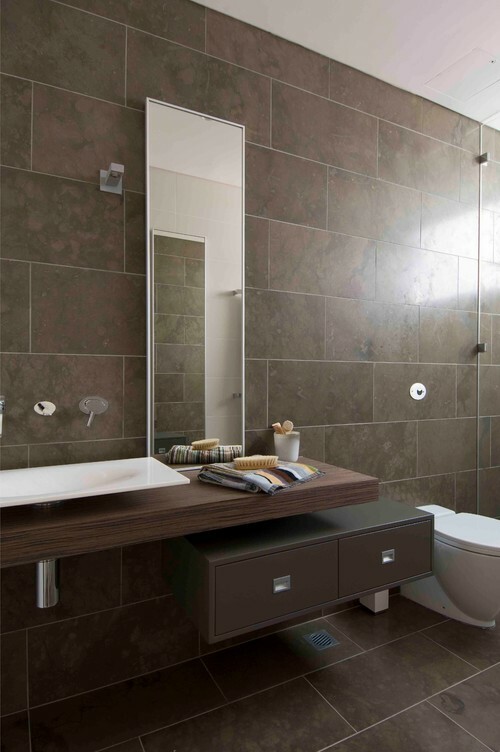 Although vanities create lots of extra storage space for the bathroom, they can also be obstructing. Universal Design is in these days and creating inclusive spaces in the home is something you should consider. The great thing about an elevated sink is that it creates space underneath it. This is not only to accommodate individuals with wheelchairs but also creates a sense of openness with a contemporary and modern style. Shower seating can go one of two ways. The first, a built in shower seat that looks beautiful and provides a great sense of continuity in the design of the shower. That being said, this method can take up a lot of space and if the shower is on the smaller side, it may not be your best option. Another downside is that i can be pricey. So, if you are looking to keep your wallets full, you may want to check out the second option. The second option is fold down shower seats. These take up less space, are cost efficient and are a beautiful and safe addition to the shower. 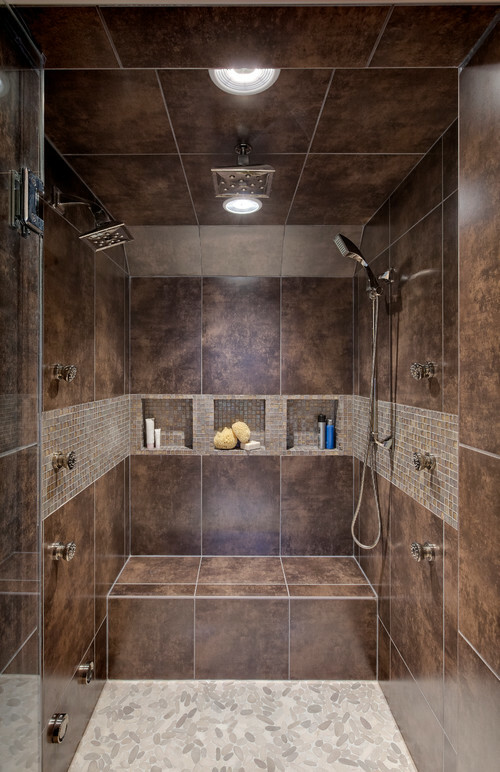 Although these may not have the same kind of continuity a built in shower seat provides, it still can be a great design element for the shower. A perfect example of this is our bamboo shower seat, the SerenaSeat. It’s made with hypoallergenic bamboo and is water and moisture resistant to eliminate bacteria build up. This shower seat easily folds up against the wall when not in use to save you space or provide the perfect place to sit and enjoy the shower. Well folks, there you have it, the top bathroom design trends 2017. Make sure to check out some other posts about bathroom design and safety.